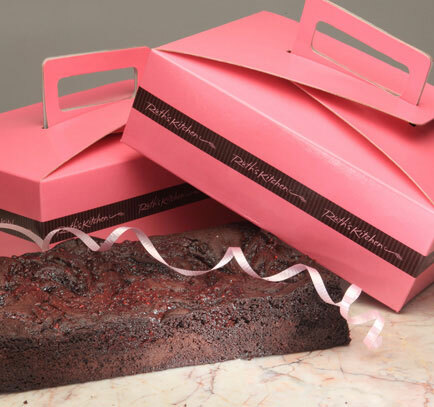 Our brownies come packaged in our exclusive, festive pink boxes with a handle. These are boxes you will want to save and use over and over again. If you order either one dozen or two orders of different flavors of 1/2 dozen brownies each they will come packaged together in a single pink box. However, if you require extra boxes please tell us in the "Order Notes" section when checking out and we will do our best to accomodate you. To add something extra for a special occasion, we will wrap your gift in an attractive paper wrap appropriate to the event. A small additional $3.50 charge applies to each.